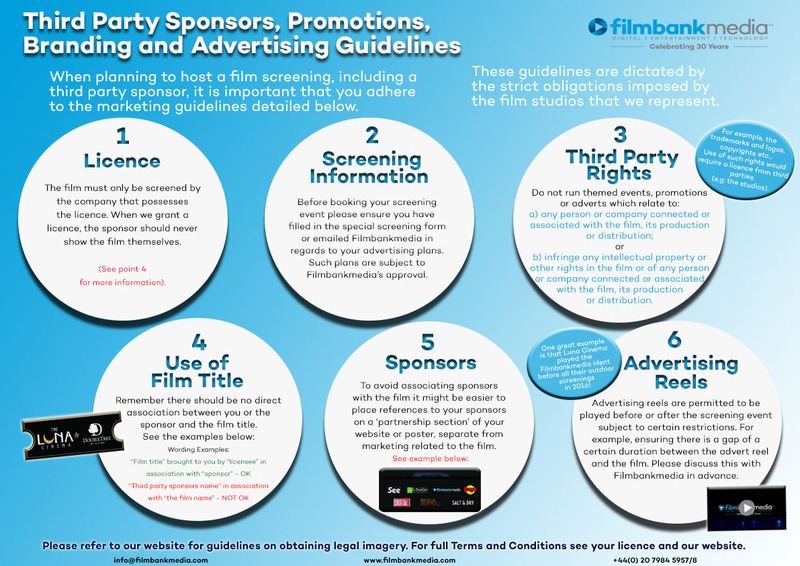 All screenings are subject to a licence fee which is determined by factors including indoor or outdoor venue, advertising and charging to view the film. The licence fee will be determined by your Box Office Returns (Commercial) or Audience Size (Non-Commercial). There are several options available to STSL customers. Please note prices are dependent upon indoor or outdoor (inc. patios, terraces, tents and marquees) screening venue. You can pay for your holding deposit and licence invoices via Debit Card, Credit Card, Bank Transfer or Cheque payment. For pricing information, please see downloadable forms section below.